Every year, your heating and air conditioning systems are on for more than 2,400 hours. That is a lot of constant movement of your HVAC system’s parts – equivalent to more than 150,000 miles driven by a car each year. Now, would you drive your car that far without performing the necessary maintenance to keep it in top condition? Of course not, and neither should you operate your HVAC system this much without regular maintenance visits. 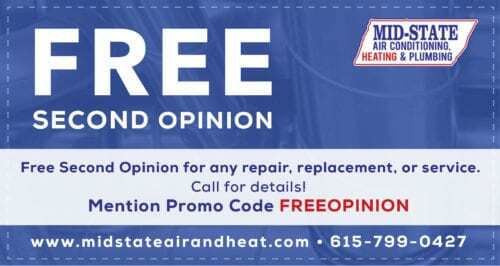 For this reason, Mid–State Air Conditioning, Heating & Plumbing offers comprehensive Precision Tune Up services for homeowners throughout the greater Nashville, TN area. The goal of these tune ups is to ensure your heating and cooling systems both remain in top working condition for years to come, while maintaining high efficiency levels and optimal comfort. If you are interested in having a Precision tune up performed for your heating or air conditioning system, we can do so for only $79, with the second system costing only $69. Our tune up services are 100% guaranteed, meaning that if you are not completely satisfied with the service we provide, you won’t receive a bill for the work done. 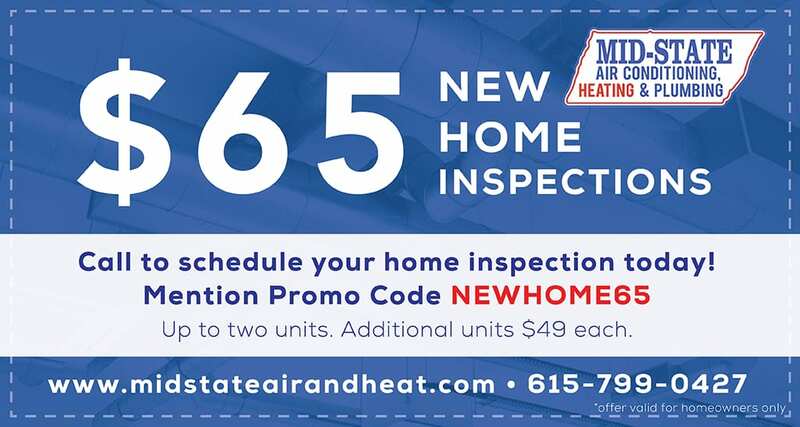 Whether you have been operating your HVAC system for many years without a tune up or you have just moved into a new home in Middle Tennessee and want to start out on the right foot, contact us today to learn more about exactly what our precision tune up services have to offer you. Want to ensure your heating and air conditioning systems continue to operate properly year after year for many to come? 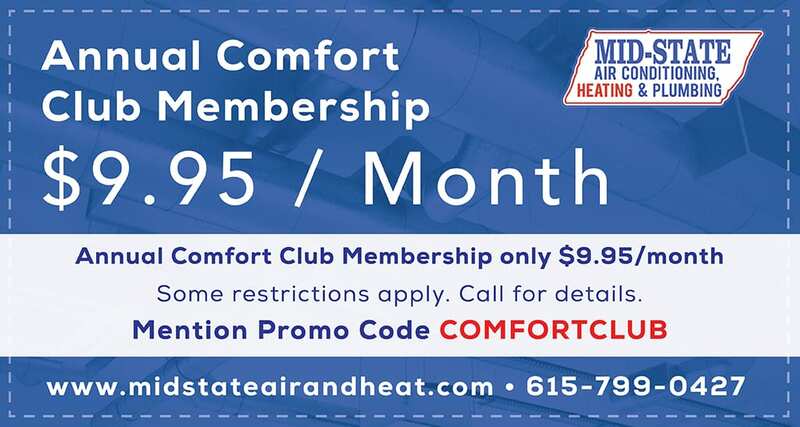 Consider a Comfort Club Membership from Mid–State Air Conditioning, Heating & Plumbing. One of our technicians will visit your home each year and perform thorough maintenance to keep your systems operating at peak efficiency. Additionally, our Comfort Club members receive a 15% on all repair calls and service with no overtime charges if a problem should develop. 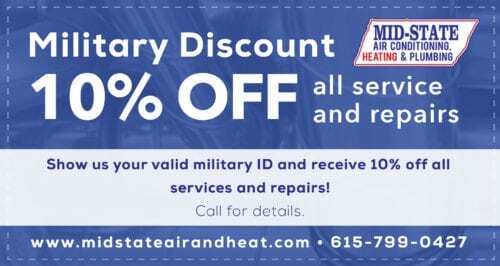 Whatever your heating and air conditioning maintenance needs, call the Nashville, TN experts of Mid–State Air Conditioning, Heating & Plumbing today to learn more about our Precision Tune Up and Comfort Club Membership.